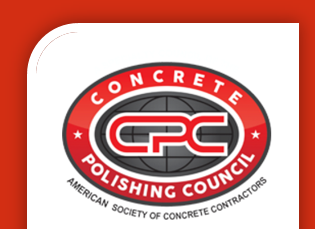 Michael Price is the President and CEO of Bay Area Concretes, Inc. (BAC) and PolishedCrete, two of the largest decorative concrete flooring contractor businesses in California. He is also one of the founders of Decorative Surface Solutions Group (DSSG) and has been in the decorative concrete hard surface finish business since the age of five. Growing up in the family’s 46 year old concrete contracting company has led to many years of exposure to the architectural concrete surface finish industry. A Cal Poly grad, Michael went to work full time at BAC in 1990 as a salesman/estimator specializing in decorative concrete surfaces and was immediately taken by the challenges of the interior applications of concrete in the form of topping slabs and microtoppings. Over the past 25 years in this business, Michael has developed many industry-specific relationships in the manufacturing, supply side and contractor channels of the market and companies that are responsible for installing Best-in-Class projects that have garnered worldwide awards, been featured in countless magazine articles, television shows, and newspapers. Michael’s teams have launched successful brands and new business channels like PolishedCrete, Aggretex, TitaCrete, EcoSand and Rejuve Floor Service. Decorative Surface Solutions Group is the culmination of all of these different market experiences and channel success stories. 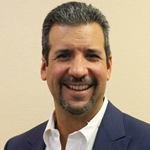 Michael lives in Livermore, California with his wife and two children.